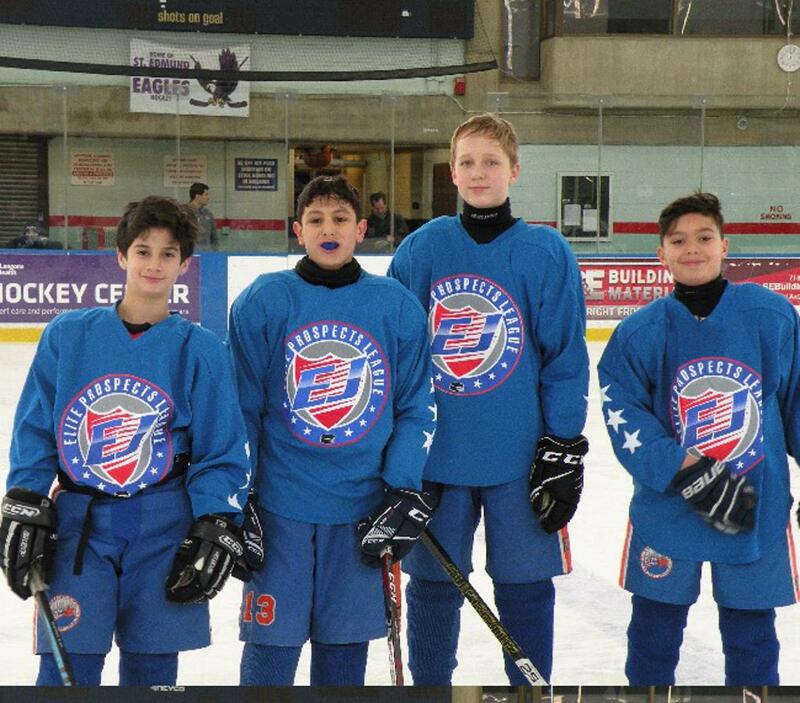 The NY Stars sent 4 players to the EJEPL 12U Diamond All Star game that was played on January 21st at Abe Stark. Defenseman Chris Astorino and forwards Michael Agafonov, CJ DiAgostino and James Lamantia were thrilled to be recognized and playing in their home rink added some extra excitement to the honor the boys received. The home crowd was not disappointed as their Blue team rolled to victory over White by a score of 12-2. And our Stars were instrumental in the outcome while the trio of forwards contributed six points as CJ DiAgostino netted a pair of goals with assists on each from his fellow linemates. Meanwhile, Chris Astorino played his usual shut down "D" against the leagues best players while also chipping in with two assists. So kudos are in order to the "Fab 4" for a job well done!